Name the place which Joshua made the centre of Israel's worship? 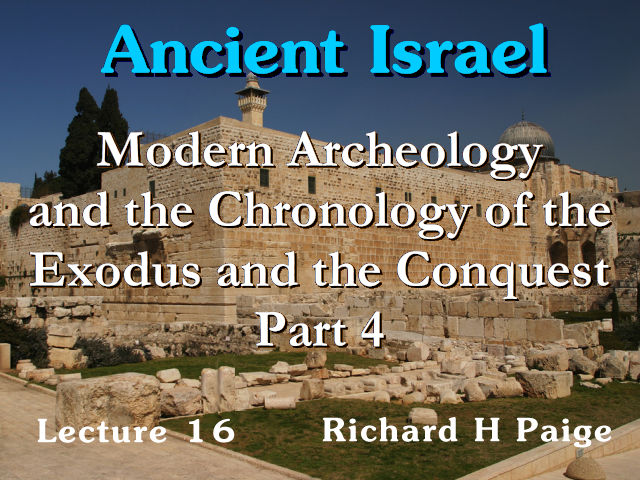 Considering the material dealing with the exodus and the conquest in terms of the Bible and archeology the big problem is that we find it very difficult to match the available evidence from archeology with the Bible in any way that will allow the Biblical accounts to stand either completely as written or let's say even 90, 95% as written, but no matter what the experts have done, no matter how they try to reconcile the two sorts of information about the exodus and the conquest they end up making hash out of the book of Joshua, the whole account of the conquest and most revealing to me today a place in the 15th century B.C. the late 15th century B.C.